In our report, ‘What’s at Steak? : The Real Cost of Meat’, we illustrate the many different impacts of the industrial livestock sector and how its unsustainable methods of production of meat and dairy products and feedstock crops negatively impact communities, Indigenous Peoples, small farmers, biodiversity, natural resources and animals. In this briefing paper, we look more closely into the role that the free trade model and the rules imposed by the World Trade Organization (WTO) in particular have played in imposing an industrial agricultural model that is skewed to favour large agribusinesses, while pushing out small farmers and their sustainable and agro-ecological practices. It is also a model that re-orients developing country markets for exports, relegating them to the lower-value ends of global commodity and value chains. 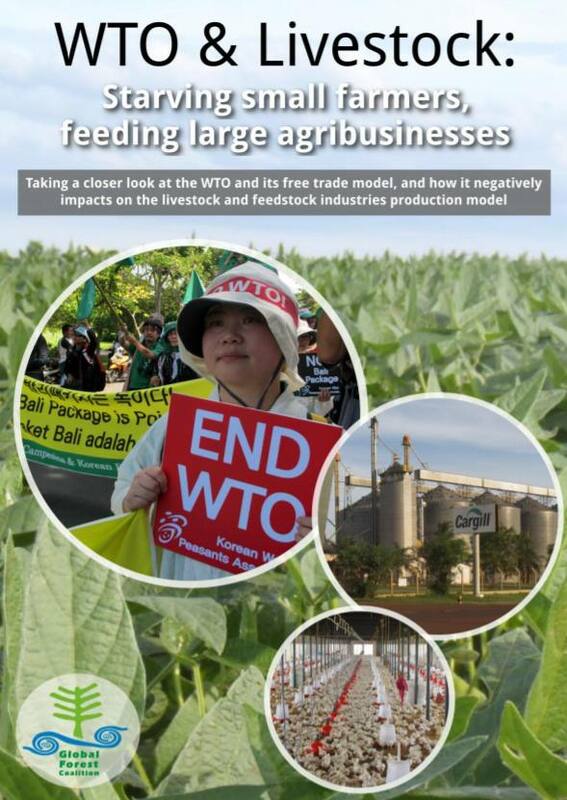 Locking small economies into exporting feedstocks such as soy has left them unable to produce food for themselves, as is detailed in the case studies featured in ‘What’s at Steak?’. Here, we delve into the trade rules and economic model that perpetuate this system, and reflect on ways in which current WTO negotiations might create further livestock-related impacts. See and download the briefing paper here. *Malig is GFC’s Campaigns Coordinator and Research Associate, and has followed the issue of the WTO and agriculture for almost 20 years.